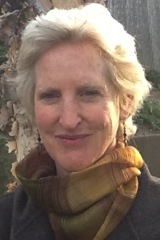 Rabbi Ellen Bernstein teaches about the connections between Ecology and Judaism, in universities and religious institutions; topics include Eco-theology, Eco-Spirituality, Genesis, Song of Songs, and Communicating the Environmental Message; her books are used widely in college courses on Religion and Environment. Read more about her talks at the Cathedral of St John the Divine, Religion for Earth Conference, and the Academy for Jewish Religion, as well as a course description for "The Human Place in Nature" a.k.a. the "Green Bible," and testimonials from Dr. Alon Tal and Rabbi Leonard Gordon. I am available for speaking engagements, teaching and scholar-in-residencies. I teach a semester-length course entitled The Place of Nature in the Bible. Rabbi Ellen Bernstein is widely recognized as the pioneer thinker and activist who helped define modern "Jewish environmentalism." She is an inspirational speaker. It is a rare privilege to learn from someone who is at once knowledgeable about the environmental crisis and also completely conversant with Jewish perspectives on it. Her ability to merge scholarship with personal passion coupled with her activism and vision makes for particularly compelling presentations and classes. Rabbi Ellen Bernstein's work has provided the firm foundation on which contemporary Jewish environmentalism rests. She is an inspiring educator and scholar-in-residence who connects theory and practice in her teaching and in her own life's journey. A wise and passionate teacher, writer, and activist, Rabbi Ellen Bernstein is a brave pioneer in the field of Jewish environmentalism. Adath Jeshurun, Elkins Park, PA.
Beth Israel Congregation, North Adams MA. Cape Cod Synagogue, Hyannis, MA. Congregation B'nai Israel, Northampton, MA. Congregation B'nai Jehudah, Kansas City, KS. Germantown Jewish Centre, Philadelphia, PA.
Jewish Community of Amherst, Amherst, MA. Jewish Theological Seminary of America, New York, NY. Jewish Center of the Hamptons, East Hampton, NY. Kehillat Lev Shalom, Woodstock, NY. Or Hadash, Fort Washington, PA.
Poughkeepsie Jewish Community Center, Poughkeepsie, NY. Steven Wise Free Synagogue, New York, NY.